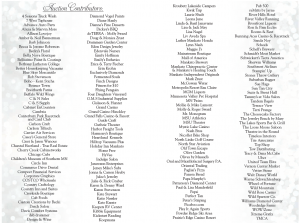 Thank You to our Auction Contributors! 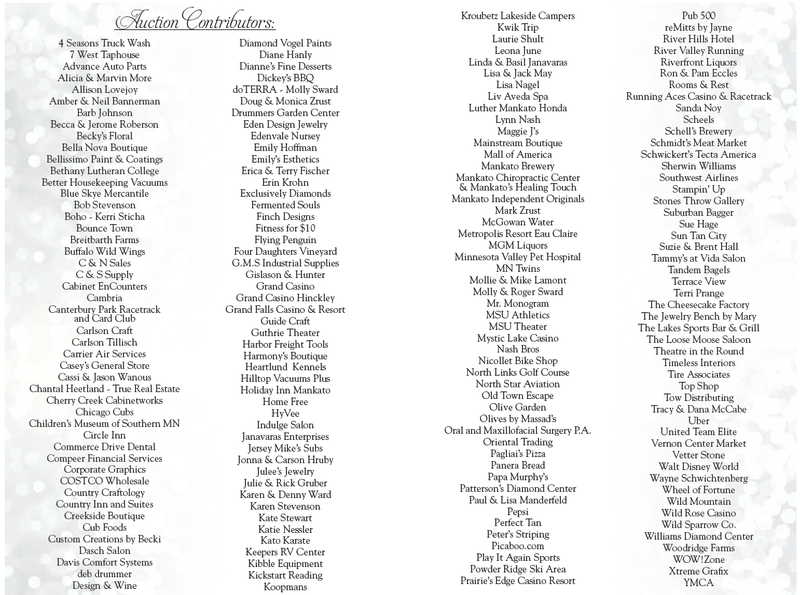 Thank you so much to our silent and live auction contributors for the 2019 Celebration of Life Gala, which was on Feb. 16th! We appreciate your generosity and support! We raised more than $40,000 at the Gala this year!